There is a great innovation that is currently revolutionizing agribusiness with an aim of helping achieve food security. Just like every other institution is now speaking of aligning its activities to Jubilee Government’s Big Four Agenda one of which is food security, IcedTube is (in an additional bid to achieve goal number two of Sustainable Development Goals-Zero Hunger) doing it it’s own way, opening the path for access to knowledge on agribusiness in a very cost effective and easily accessible manner. And this is not for Kenyans only. It is bound to the entire Africa. For according to FAO, 2017, approximately 27.4% of African population was classified as severely food insecure in 2016. This is four times higher than any other region and about 3% rise as compared to 2014. FAO goes on to enlist lack of investment in agriculture as one of the major causes of this hunger. 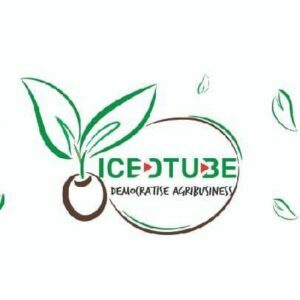 IcedTube brings you a cheap way to see through development in the agribusiness, using the youth and learning institutions which are the warehouses of the required knowledge. 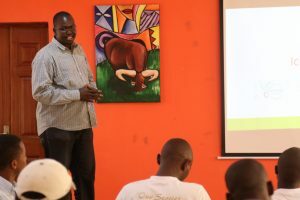 The founder and CEO of IcedTube, Jackson Kiptanui has expressed his dissatisfaction with the fact that Technical Vocational Education and Training Institutions (TVET), Colleges and Universities are quietly ‘seated on goldmines’, when really, they are supposed to be major players in the drive for change in society. It is for this reason that he is now partnering with TVETs, colleges and universities, so that knowledge on agribusiness can be disseminated in a cheap and simple way. IcedTube is a peer to peer video learning platform by which the agribusiness community can share knowledge in the form of videos. Affiliate products of IcedTube include IcedFarmer, IcedTv and IcedYoung. Actually, today marks two weeks since the launch of the first Chapter of IcedYoung (a community he will use to connect institutions to the public) at Egerton University, Njoro. IcedTube is extending this to all other willing TVETs, colleges and universities. Jackson has declared that, “Institutions at which IcedTube will have established an IcedYoung Agribusiness Club will be recognized as a partner organizations and will enjoy benefits accruing to IcedYoung community.” The institutions will be granted an opportunity to broadcast their research and other agribusiness related innovations to the public through IcedTv, an affiliate product of IcedTube. This has the implication that the information significant for optimal and efficient production of food that farmers right now find too difficult and expensive to access will be easily obtainable. Through the IcedYoung clubs, students will not only be mentored but will also be given Mobile Journalism training. 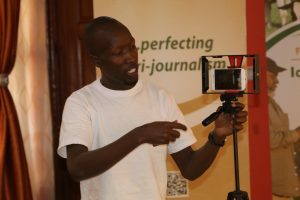 They will be trained on how to use their mobile smartphones to document agribusiness content, not in text but video, edit and distribute the content through agri-journalism. 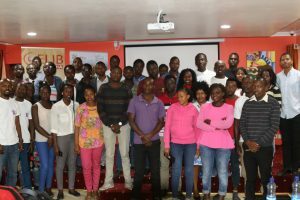 In the course of such training, these future agripreneurs will be equipped with the right knowledge and skills of their interest but along the value chains of agribusiness. Training by an editor of Mobile Journalism Africa on how to use smartphone to shoot quality videos. These value chains include: inputs, production of crops and livestock, storage and handling, processing, transport, distribution and marketing. These students will ultimately go out and share what they have learnt through trainings and placement. This will also give them the forum to interact and establish connections with those who are more experienced. 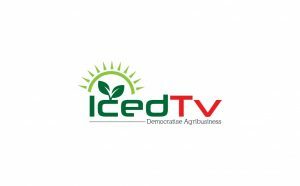 As much as IcedTube will be bringing together agribusiness community across biographies and value chains, it will also be improving the knowledge capacity of agribusiness community through videos. What Jackson Kiptanui is simply doing is digitizing agribusiness through training on the production of short instructional videos and sharing out. In addition to broadcast on IcedTv, the knowledge on the efficient food production techniques will find way into the hands of those who most need it. Needless to mention at this point, this will be in a cheap and easily accessible way. The establishment of IcedYoung community in learning institutions will promote the youth. The short and long of this is promoting agribusiness through agri-journalism and ultimately improving food production. Isn’t this the root and stem of food security?